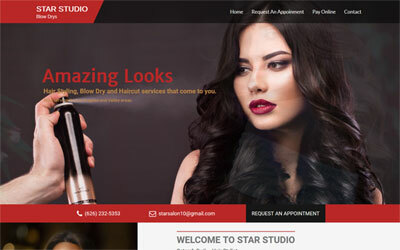 Star Studio offers blowdrys to clients in Los Angeles and needed a solution for clients to book appointments and pay online. 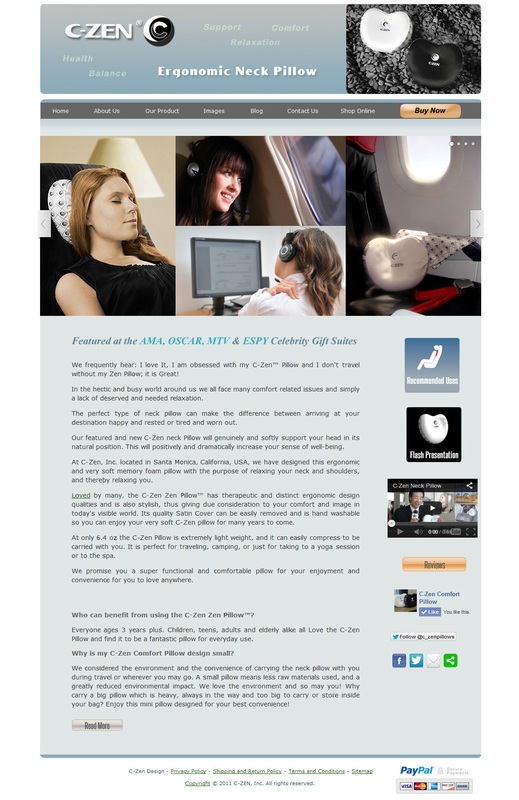 The web site was built in WordPress offering an advanced booking form with calendar and PayPal as payment solution. 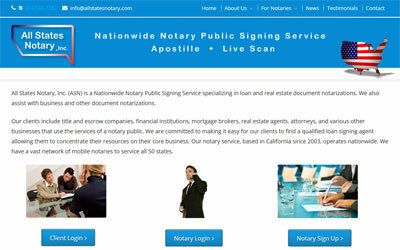 All States Notary, Inc. is a Nationwide Notary Public Signing Service. 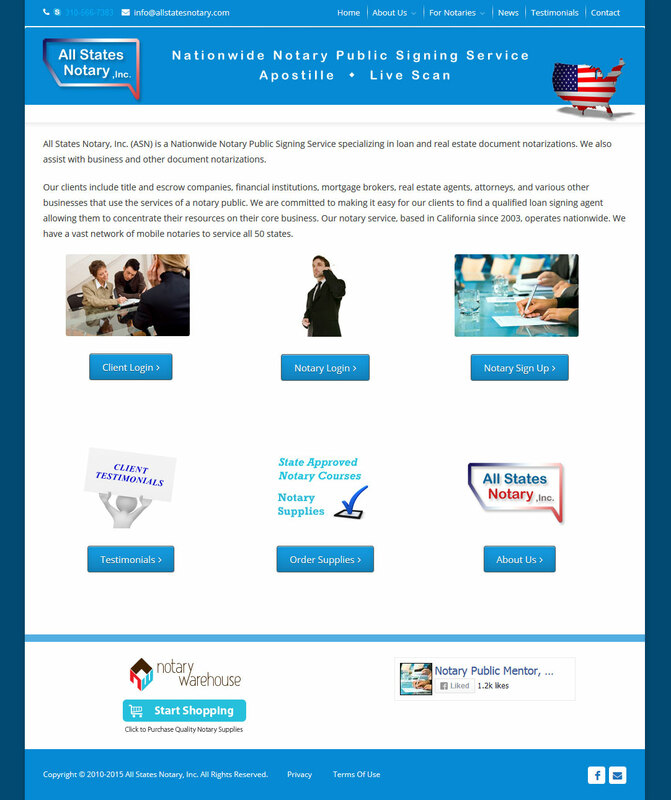 The company also provides Apostille and Live Scan service. 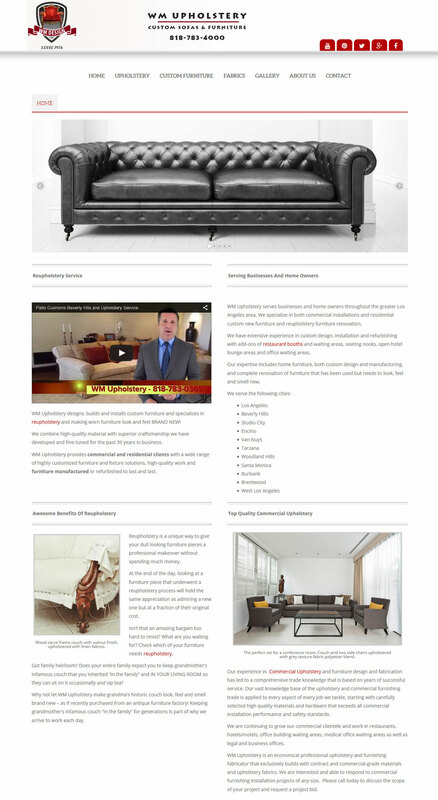 Their previous website needed to be redesigned to achieve a professional and clean business look. 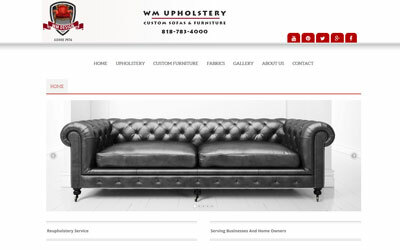 WM Upholstery is one of the leading reupholstery establishments in the Los Angeles area. Their website needed to be redesigned with a more upscale look to represent their products and services and improve search engine ranking. 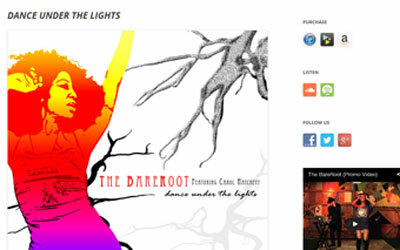 Chicago natives Carol Hatchett and Daniel Pearson collaborate to artfully deliver the soulful, deep house music of The BareRoot. 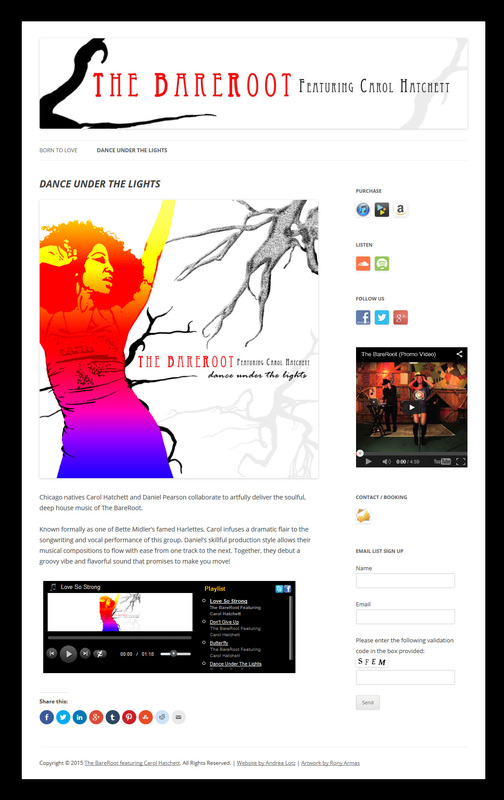 The website showcases their music releases with links to purchase cd’s and digital files. 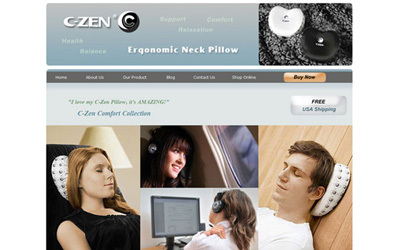 The C-Zen Neck Pillow is a stylish ergonomic memory foam pillow. The C-Zen website is powered by the Joomla content management system, features a web store, blog, lightbox photo gallery, image carousel, video and flash. 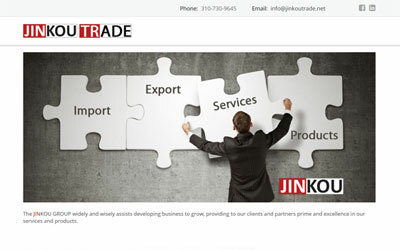 Jinkou Trade assists in developing business by providing prime and excellence in their services and products. 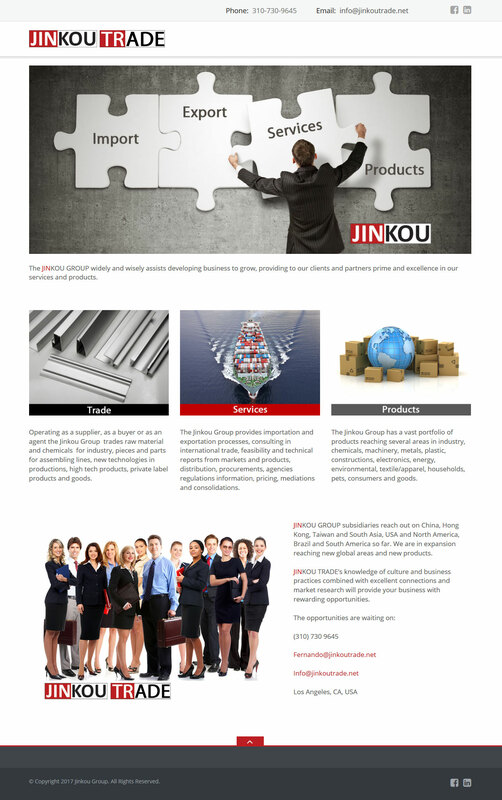 The company needed a simple one page website to display to potential customers. The website needed to be ready for E-Commerce and to be built out at a later time as the business grows. 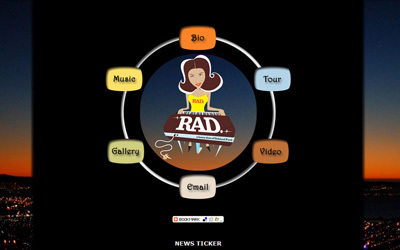 Keyboardist, vocalist, and recording artist, Rose Ann Dimilanta Kirsch, is best known as band leader of her solo project, "rad". 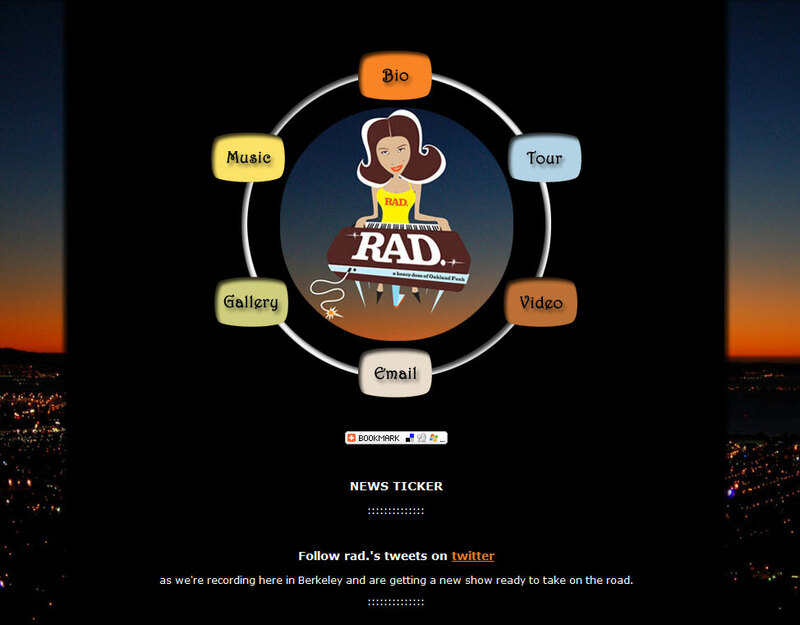 Her website needed to reflect her image, showcase her music and keep fans up to date about her projects with lots of pictures about her past tours. 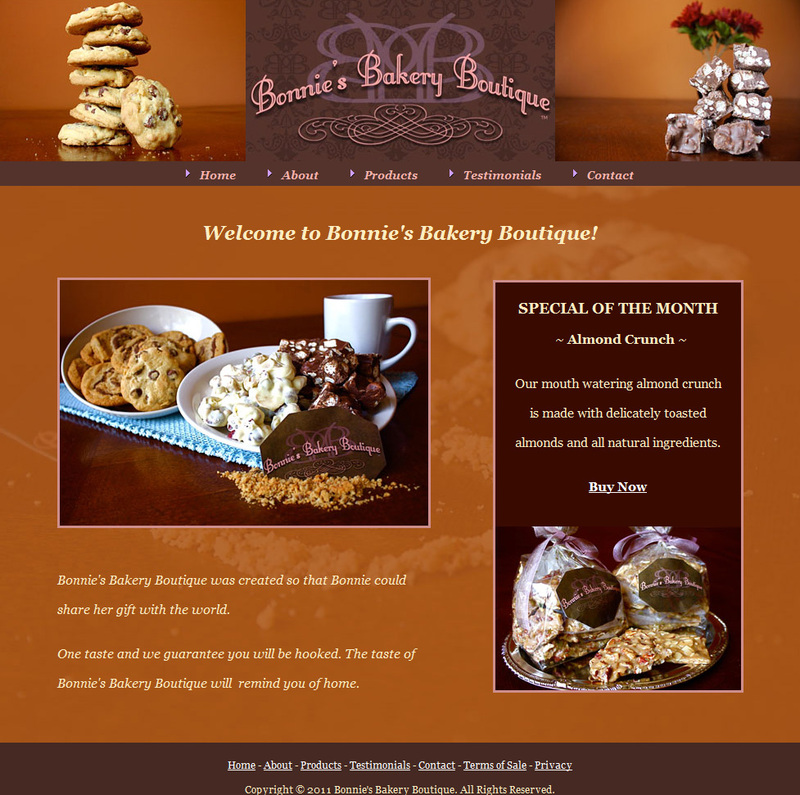 Bonnie’s Bakery Boutique was created after years of sharing her delectable baked goods with family and friends. 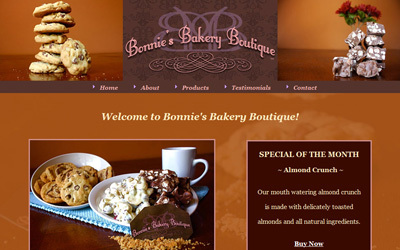 The design needed a warm feel to present the delicious bakery products. A custom template was developed with the Intuit site builder. It has a web store with a PayPal shopping cart attached to it.